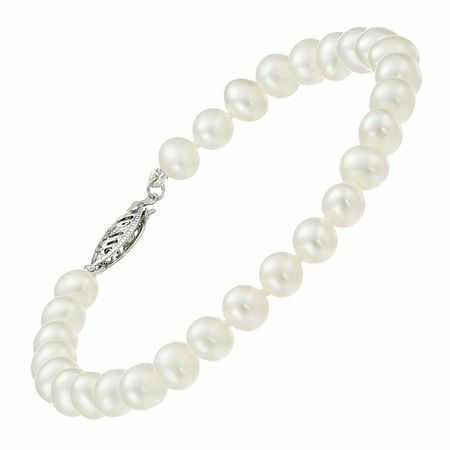 No collection is complete without a timeless pearl bracelet! 5-6 mm freshwater cultured pearls are strung and double-knotted for a classic pearl piece that will stay in style for years to come! Piece measures 7 1/4 inches in length.